We are making progress stopping cancer through research. We hear about new drugs and therapies on a regular basis, but we have a long way to go. Lung, prostate and colon-rectal cancers are the most dangerous in men, and lung, breast and colon-rectal cancers are the most dangerous for women, according to the American Cancer Society. Fortunately, thanks to past research, most people diagnosed with cancer survive at least 5 years, although the survival stats vary widely by the type of cancer. 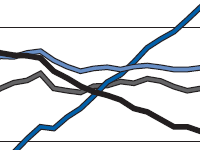 Death rates from most forms of cancer are on the decline. The following graphs from the American Cancer Society are fascinating, but they show we can do better (click on the images to enlarge). 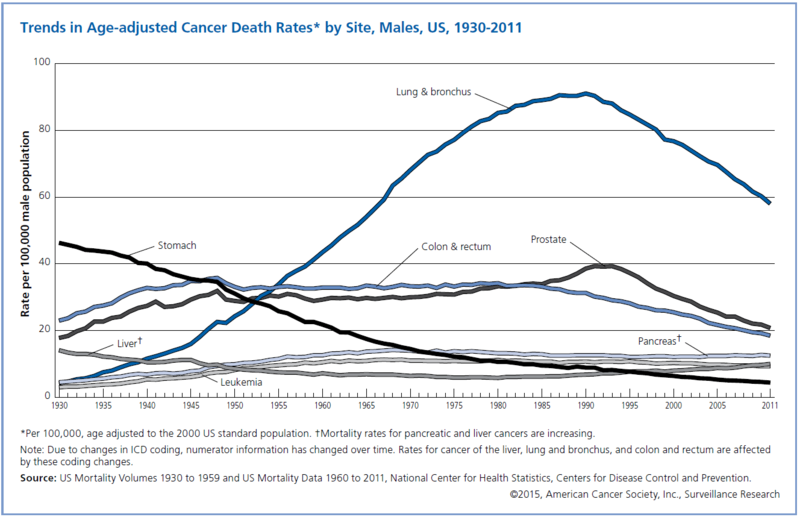 Age-adjusted Cancer Death Rates, Males by Site, US, 1930-2011. Click image to enlarge. 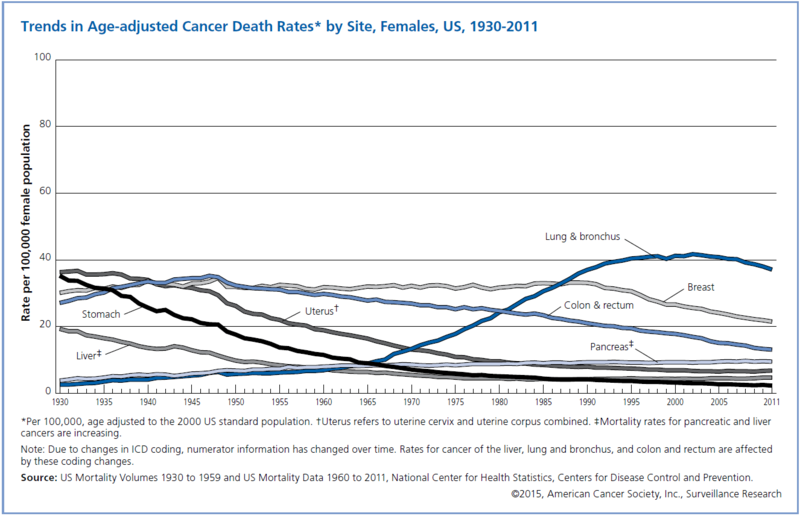 Age-adjusted Cancer Death Rates, Females by Site, US, 1930-2011. Click image to enlarge. We can help move these numbers down even faster by supporting ongoing research into cancer and cancer treatments. That is exactly what the companies who are participating in my special RxTrace ad program in support of cancer research are doing. These special ads can be found in the right sidebar of RxTrace. Each of these companies have paid to have their ads placed on RxTrace in this special program through September, and I have pledged to donate 100% of their payment to fund cancer research at the James Cancer Hospital and Solove Research Institute at the Ohio State University through the Pelotonia organization. Please reach out to these companies and thank them for their generosity in supporting such important work. If you would like to add your company to this list, it is not too late! Please contact me for details. If you would like to make a donation in any amount directly to Pelotonia, click here: https://www.mypelotonia.org/riders_profile.jsp?MemberID=4767.